That’s the motivation behind every eye-roll from a disappointed dad just as much as every thousand-yard-stare from a Hollywood actor pretending to be a disenfranchised war veteran. The world changed, it got weak, but there’s still a place for miserly stick-in-the-muds who think the old ways are the best. The truly sad point of every film of this ilk is the desperate need to prove that fact to an ungrateful generation of self-styled victims. All that being considered, it was a solid surprise when Denzel Washington dipped his toe into the pool in 2014’s The Equalizer. Directed by Antoine Fuqua, whose eclectic filmography is interesting to say the least, The Equalizer was a violent update of the late 80s TV show of the same name. In the show Edward Woodward played Robert McCall, a retired CIA agent turned private detective who used his skills and arsenal to even the odds for the weak and needy. It was, for all intents and purposes, a gritty restyling of the ideas presented in The A-Team. Washington steps into the Woodward role very ably, but now he’s a humble hardware store manager by day who takes on corrupt cops and underworld bosses by night. The principle is the same, he is out to even the odds for the little people. Like a modern day Robin Hood, he redistributes wealth, power and freedom from the undeserving to the downtrodden. Throughout the film, McCall uses any object he has to hand as a lethal weapon, usually decimating a room full of people with whatever’s in reach. A corkscrew, a whiskey glass… an egg probably, he could kill you with an egg, or… like, a packet of Angel Delight or something. The point is that he turns the bad guys’ environments against them, weaponising tools and everyday objects against a whole array of guns. I like to characterise this kind of thing as “working class weaponry,” making do with you have but using your familiarity with it to take the fight to your oppressors. In a not-so-surprising third act twist, the bad guys (led by the always entertaining Marton Csokas) bring the fight to McCall and instigate a gunfight at the hardware store where he works. Forced to cast aside the secrecy that keeps his life in balance, he dispatches the baddies using the full range of reasonably priced house and garden tools available on the shelves. Think the tool shed scene from Commando but played more straight-faced and with more brutal barbed wire hangings. 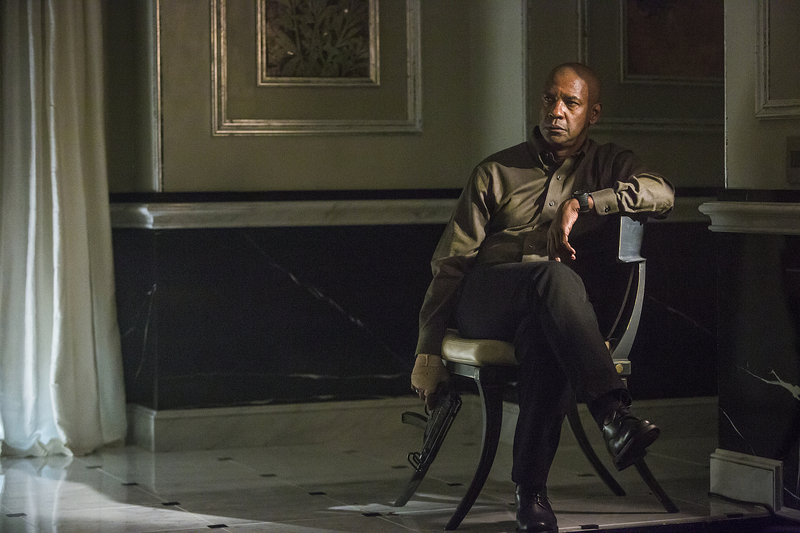 OK, so I will admit that The Equalizer isn’t quite as revolutionary as I’m making out, ideologically or artistically, but it does stand out in a genre so full of macho old men trying to prove they’re tougher than the young guys because they pretended to fight in Vietnam. Instead of being aimed at an insecure subset of fragile men who need their masculinity affirmed at every opportunity, especially in the face of a younger generation who aren’t afraid to cry or eat phallic-shaped fruits. 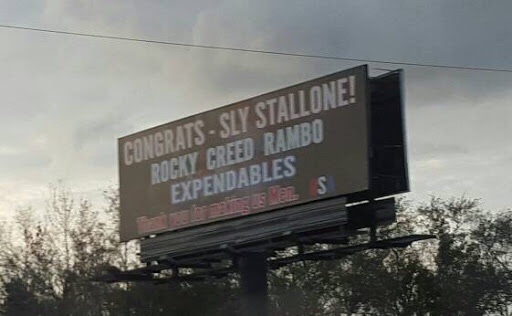 Let us not forget the “Thank you for making us Men” billboard aimed squarely at Sylvester Stallone himself. All too perfect an image, attributing your personal manhood to a handful of films, capitalising “men” and throwing in a little bit of good ol’ USA patriotism for flavour. In a time when there are just too many women in Star Wars and Mad Max, we need the desperately anti-revolutionary old men to remind us that our willies are still there. Perhaps the best, most shining entry into this genre has yet to be mentioned. In 2014, Keanu Reeves waltzed right back into our hearts like he owned in the much acclaimed – and rightly so – John Wick. John Wick and its very worthy sequel take place in the bizarrely insular world of international assassins. Reeves plays the eponymous assassin coming out of retirement to pursue a personal vendetta (they killed his dog! ), but appears to be returning to a career in an industry built entirely out of people whose job is to kill each other. Managing to be both comical and genuinely thrilling, John Wick presents the world of assassins as a baffling, self-consuming organisation where the old stalwarts stick around because what the hell else are they going to do? 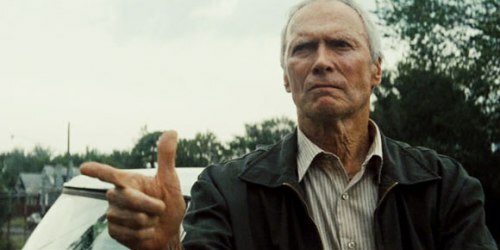 At the end of the day, it seems that what these films are trying to do is present us with aspirational father figures. 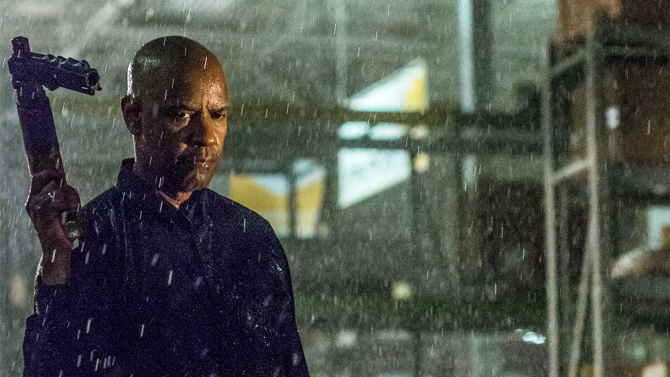 If that is the case, The Equalizer’s Robert McCall is certainly a father figure to look up to. Someone who knows his golden years have passed by but hasn’t yet outlived his usefulness; someone who will do what he can for the future generations. John Wick, meanwhile, is more of a fun uncle that you turn to get away from your real life dad who won’t shut up about Clint Eastwood. Once prolific film critic and essayist “Big” Ian Maddison is coming back into style.